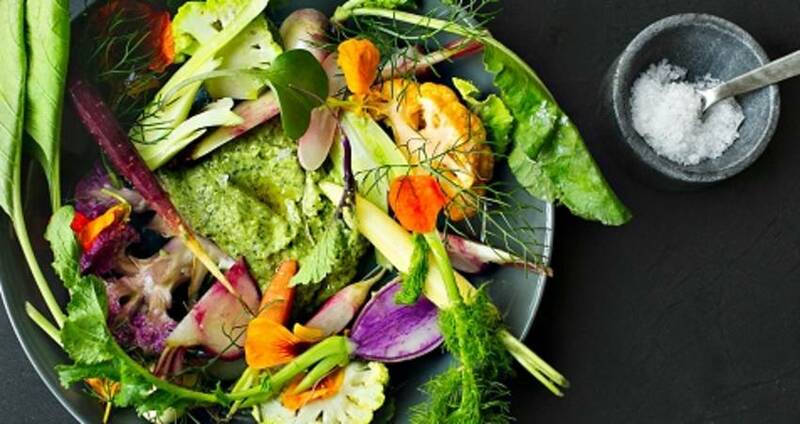 Okay, foodies—it&apos;s time to dig into March! But first, some big news. Citing culinary superstars and Southern charm, Forbes Travel Guide has named Raleigh, N.C., one of 12 global destinations to travel to in 2017! Listing Raleigh alongside other cities including Lisbon, Bogota and Bali, Forbes notes that some recently-opened (Scott Crawford&apos;s Crawford and Son, pictured in the header) and upcoming, new food spots (Niall Hanley&apos;s Morgan St. Food Hall & Market, for starters) have them "ready to back up our fawning with a bit of flavor." Forbes isn&apos;t the only one to take notice of Raleigh&apos;s red-hot dining scene lately, either. The James Beard Foundation just announced their 2017 semifinalists, chosen from more than 24,000 entries in 21 different categories. Four food rock stars from N.C.&apos;s capital city area made the cut—Ashley Christensen (Poole&apos;s Diner, Death and Taxes and more) is up for Outstanding Chef; Lionel Vatinet (La Farm Bakery) is nominated for Outstanding Baker; and Steven Devereaux Greene (Herons at The Umstead Hotel and Spa) and Cheetie Kumar (Garland, pictured below) are nominated for Best Chef: Southeast. When making plans for the month ahead, you can&apos;t go wrong with any of the spots listed above if you&apos;re looking for bold, unique (and delicious!) flavors. Up for some more foodie adventures this month? 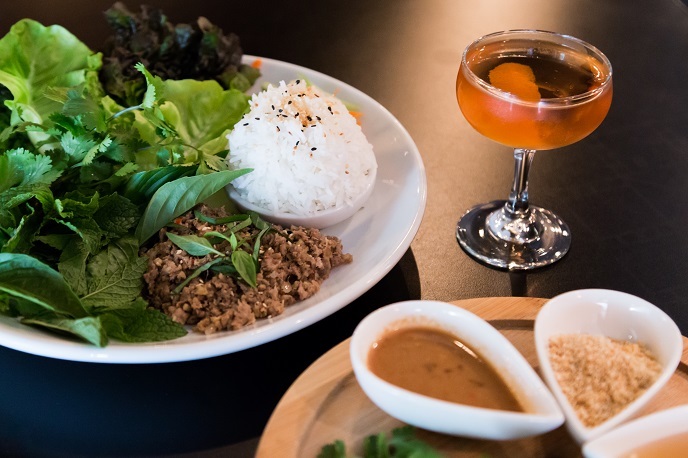 We&apos;ve highlighted a number of unique eats from around the world at local favorite restaurants here, including a Laotian dish from Bida Manda, named by Business Insider (with many in agreement) as the best restaurant in the state. You&apos;ll also find Ethiopian, French, Mexican and other cuisines on the list. For something Mediterranean-inspired, you may want to hop over to Vidrio, a breathtakingly-gorgeous new restaurant in the city center that&apos;s perfect for big groups in the main dining room and hangouts and dates in the bar areas. What else is being served up in March? Beer drinkers have probably noticed this unusually-warm winter weather has been perfect for weekends spent outdoors on brewery patios, and that&apos;s got us thinking about the Raleigh Beer Trail. Visit the Raleigh area&apos;s 25 (and counting) breweries and earn rewards! Just download your Passport, then plot your own path (with a designated driver on hand!) or hitch a ride on the Raleigh Brews Cruise for a hopping tour. The first-ever exhibit devoted solely to Italian art at the North Carolina Museum of Art (NCMA) opens this month! Glory of Venice: Renaissance Paintings 1470-1520 (3/4-6/18) features 50 paintings and a significant group of printed books that illustrate a crucial period in the history of Venetian art and culture. The exhibit is the first in the U.S. to examine one of the most remarkable chapters in the history of art—Venice at the dawn of modernity. 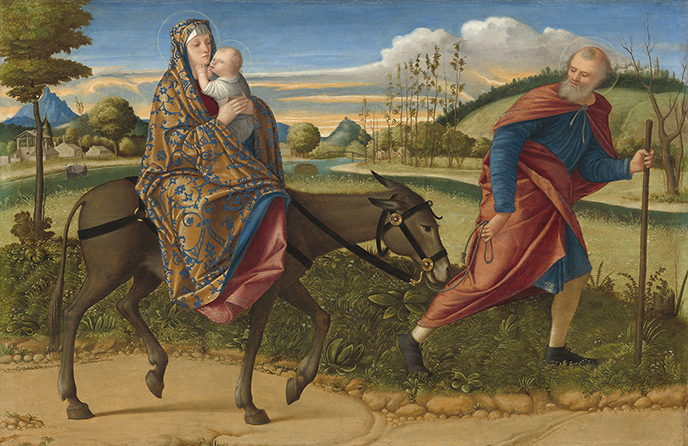 Featuring approximately 50 works in total, including major altarpieces, private secular and devotional paintings and portraits, 20 unparalleled loans from Venice&apos;s Gallerie dell&apos;Accademia form the core of the exhibition, joined by masterpieces from other institutions in Italy and the U.S., including six from NCMA. Glory of Venice will be ticketed in conjunction with another exhibit, Ansel Adams: Masterworks (through 5/7). Masterworks features 48 awe-inspiring photographs from the legendary American landscape photographer on display, a collection of prints carefully selected by Adams himself called the "Museum Set," designed to represent the best work of his five-decade career. A #visitRaleigh pro tip for you: If you plan your trip to Raleigh at the end of the month, you&apos;ll be in for a real treat! Catch the above two exhibitions plus another favorite annual event at NCMA, Art in Bloom (3/30-4/2). The four-day festival of flowers features more than 50 floral interpretations of art in the museum&apos;s permanent collection, plus includes tours, workshops, special gifts on sale and more. Another huge month of live music is ready to go! PNC Arena will host two big shows in March—GRAMMY Award-winning group Casting Crowns (3/10) and Rock & Roll Hall of Famer Stevie Nicks (3/19) will rock the stage at one of Raleigh&apos;s biggest music venues. The 10th Annual Raleigh Blues Festival (3/17)—with performances by Bishop Bullwinkle, Sir Charles Jones, Tucka and more—as well as multi-talented bluegrass artist Sierra Hull (3/23) will play to big crowds at the Duke Energy Center for the Performing Arts, and Norah Jones (3/14), Jeezy (3/16), Flogging Molly (3/28) and The Flaming Lips (3/31) highlight a month of big acts at The Ritz. 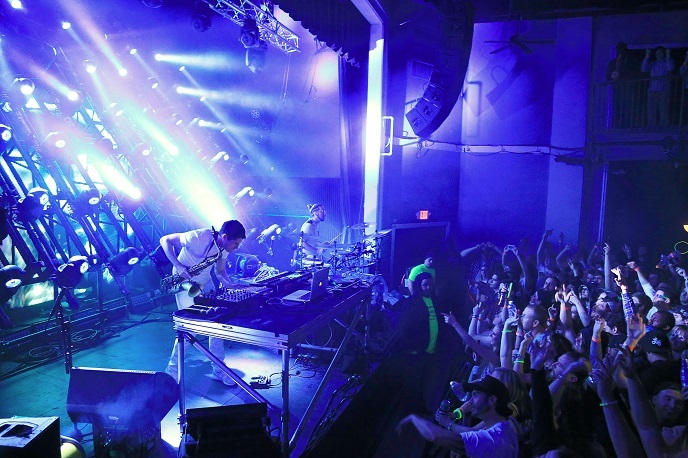 For a full schedule of live music at venues across the Raleigh area in March, visit themostnc.com. Celebrate the great St. Patrick, plus Irish and Celtic traditions and culture at the family-friendly Raleigh St. Patrick&apos;s Day Parade and Wearin&apos; ‘O the Green Festival (3/11). Put your taste buds to the test at Toast to the Triangle (3/5), a chance to sample from more than 30 local restaurants, bakeries and beverage providers in one awesome night. Experience a contemporary spin on Shakespeare&apos;s whimsical A Midsummer Night&apos;s Dream, presented by Theatre Raleigh (3/9-23). Cheer on the Carolina Hurricanes at PNC Arena as they hit the home ice for eight games during this crucial stretch of the NHL season. Ready to see how professionals catch some air? BMXers ride into downtown Wendell for ProTown BMX (3/25), showcasing talents and dishing out riding and safety tips. The ultimate celebration of comics and pop-culture returns to the Raleigh Convention Center for two days with Oak City Comicon (3/18-19). Witness basketball artistry, ball handling wizardry and one-of-a-kind family entertainment when the Harlem Globetrotters roll into town to put on a show (3/25). Get outside at the Cary Annual Kite Festival, with music, food and all the kite-flying fun you need for fun-filled afternoon at Fred G. Bond Metro Park (3/18).